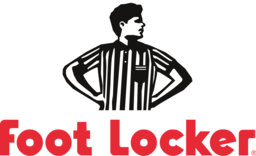 A Kitchener favourite for athletes and sneakerheads, Foot Locker is sporty footwear for men and women. Brands include: Adidas, Asics, Converse, Ecko, Extreme Couture, Jordan, KangaROOS, Kappa, Lugz, Nike, Pastry, Pony, Puma, Reebok, Rocawear, Silverstar, Skechers, Tap Out, Timberland, Tretorn, True Religion. Shop the latest athletic footwear and clothing brands at CF Fairview Park.